Hi! 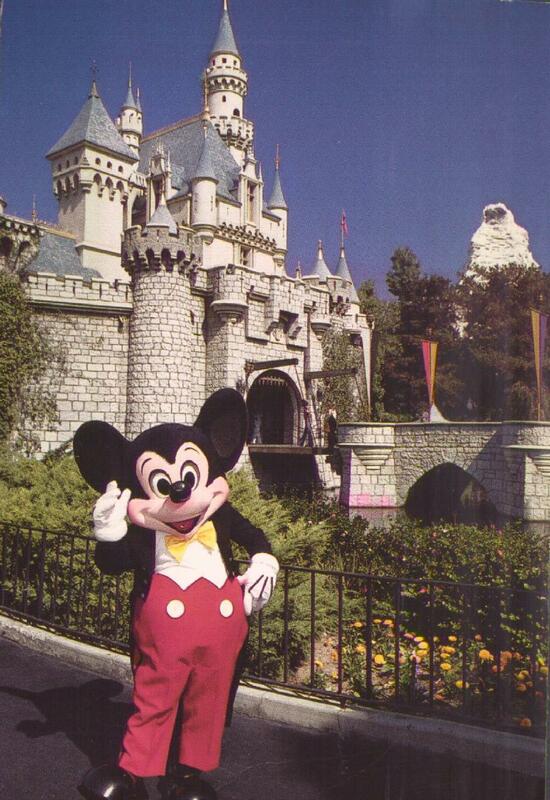 I am at the Anaheim Hilton for the conference, but I went to the Disneyland shop to get you this postcard and a treat. I love you. Da. 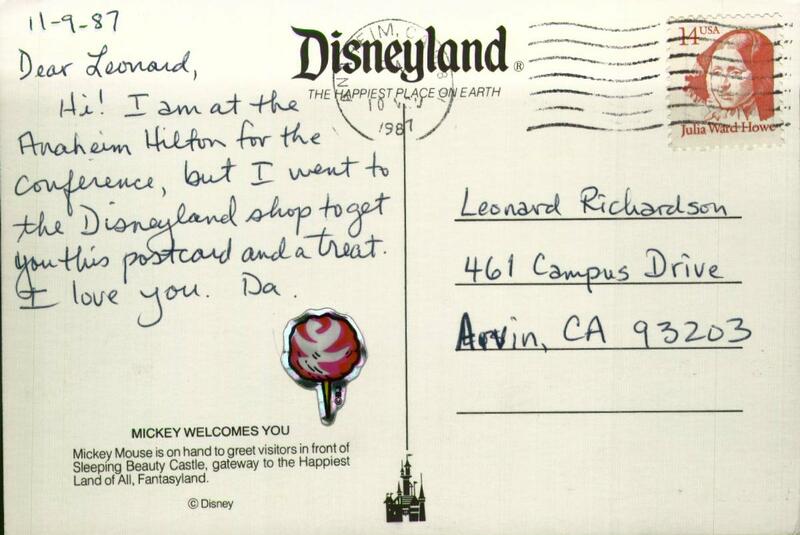 Coolest thing about this postcard is that shiny cotton candy sticker.